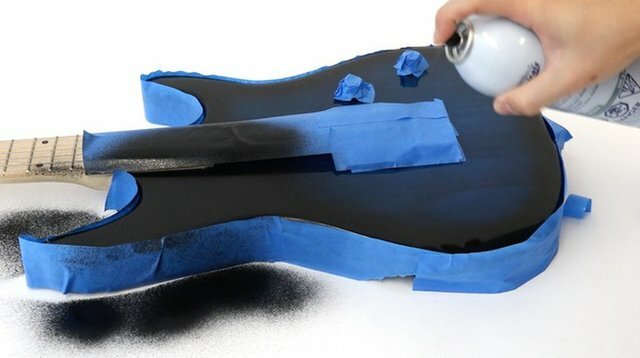 Researchers from the Carnegie Mellon University in Pittsburgh discovered a way to turn flat surfaces of any shape or size ranging from walls to furniture to even musical instruments into touchpads.To do this they used a technique dubbed "Electrick", which relies on electrodes attached to an object made of or coated with any slightly conductive material. "The technology is very similar to how touch-screens work," said Yang Zhang, a Ph.D. student at Carnegie Mellon's Human-Computer Interaction Institute (HCII). "When the user's finger touches on an electric field, it will shunt a fraction of the current to the ground, and by tracking where the shunting of the current happens, we can track where the user touches the surface. "The technique is scientifically known as electric field tomography and uses an array of electrodes to detect the position where the touch occurred. Though the touch pads created are not as precise as smart phone touch-screen technology, they are still accurate enough to allow basic control functions, such as using a slider or pushing a button. "The goal of this technology is to enable touch sensing on everything," Zhang said. "Touch has been very successful. It's a very intuitive way to interact with computer resources. So, we were wondering whether we could enable these touch-sensing capabilities in many more objects other than just phones and tablets." As with all technology, this technique has a limit: The surface in question must be slightly conductive for the touch pad to work, so non-conductive surfaces like plastic is not suitable.The researchers said the technology could be used for educational purposes, by hobbyists and in other commercial applications. Want to know more about this awesome device? Follow this link!